The World Bank Group President Jim Yong Kim Monday announced a record $57 billion in financing for Sub-Saharan African countries over the next three fiscal years. 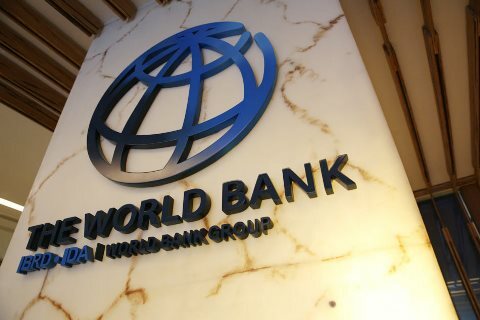 The financing for Sub-Saharan Africa also will include an estimated $8 billion in private sector investments from the International Finance Corporation (IFC), a private sector arm of the World Bank Group, and $4 billion in financing from the International Bank for Reconstruction and Development, its non-concessional public sector arm. Sixty percent of the IDA financing is expected to go to Sub-Saharan Africa, home to more than half of the countries eligible for IDA financing, World Bank said in a statement issued in Nairobi on Monday. “This represents an unprecedented opportunity to change the development trajectory of the countries in the region,” World Bank Group President Jim Yong Kim was quoted saying in the statement. According to the World Bank, the assistance will support countries’ development priorities, scaled-up investments will focus on tackling conflict, fragility, and violence, building resilience to crises including forced displacement, climate change, and pandemics and reducing gender inequality. Efforts will also promote governance and institution building, as well as jobs and economic transformation, the Kim said. “This financing will help African countries continue to grow, create opportunities for their citizens, and build resilience to shocks and crises,” he added.